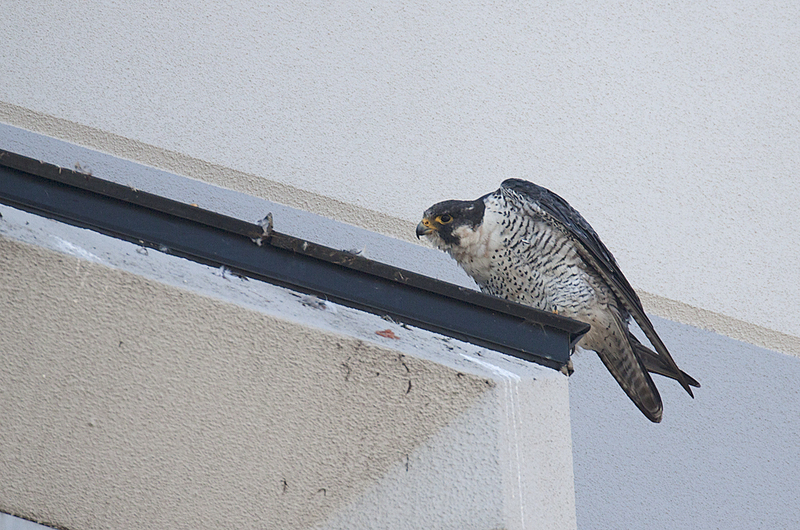 November 1, 2016 – Our local Peregrine falcon was perched on the Kankakee library building north ledge near the top of the building at 9:30 am. 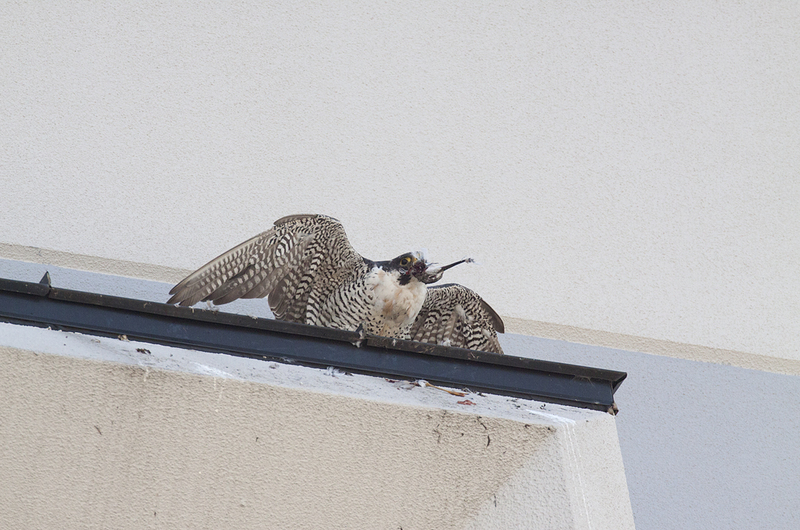 Around 9:45 am the Peregrine began feeding on a Yellowlegs sandpiper, maybe a Lesser, that it had on the ledge. 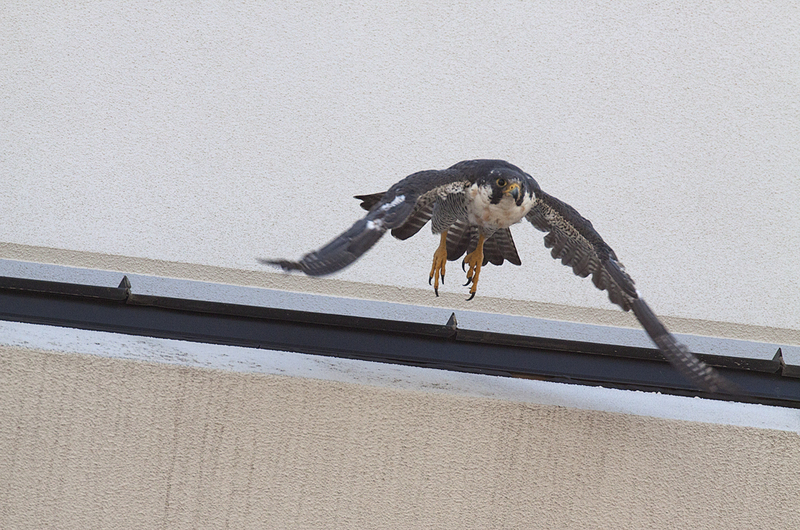 The falcon begin pulling out feathers and I could see some of the feathers floating to the landscaped shrubs and pavement below on their last sad flight. 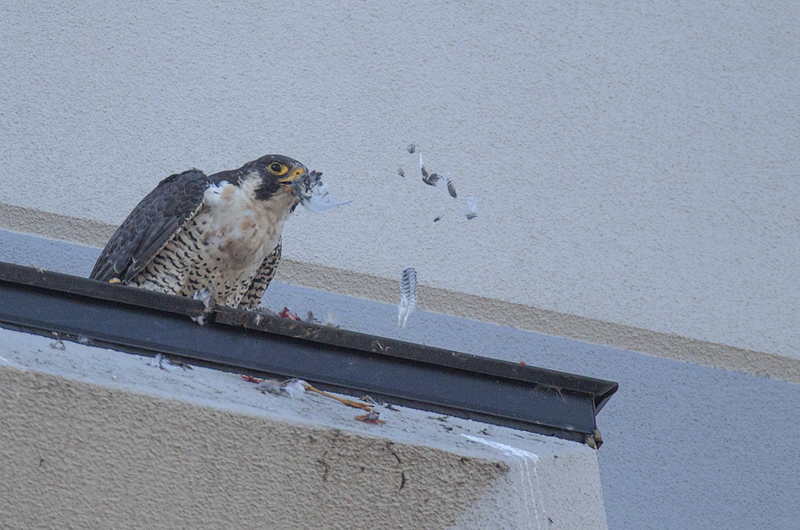 By 10:15 am the bird seemed to be finished as it cleaned its’ beak on the metal that sticks up on the rim of the ledge. 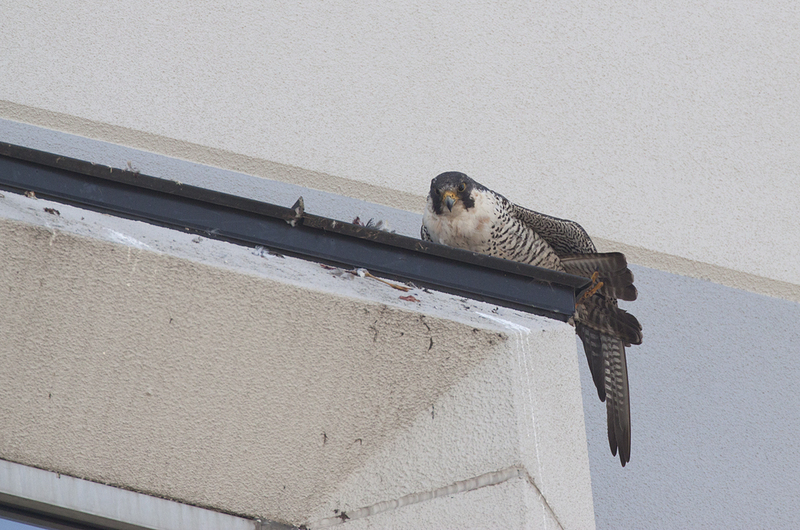 I left at about 10:30 am but returned to find the bird still perched at about 2:10 pm. I watched the bird rest and at times sleep until about 2:30 pm when it begin to stretch its’ wings and legs. 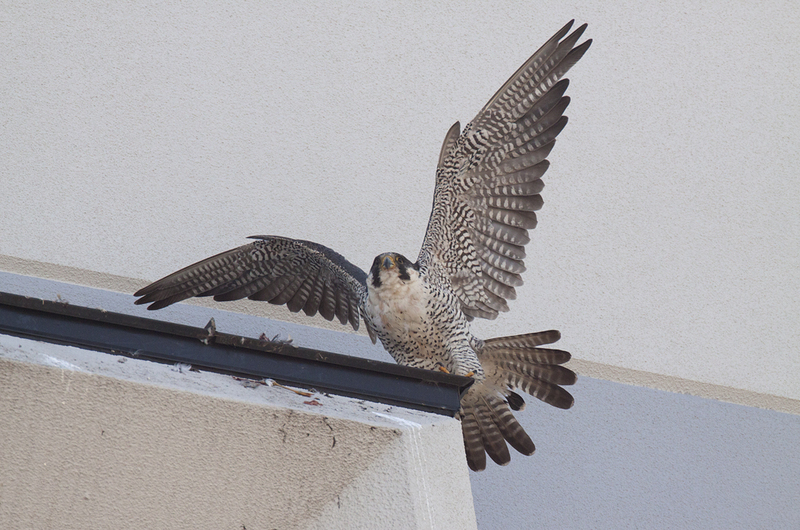 It continued to preen and stretch until about 3:20 pm when the bird seemed to get very excited walking back and forth on the ledge with its’ wings spread. Picking up the head of the unfortunate sandpiper the falcon spread its’ wings continuing its’ walk on the ledge back and forth with the head in it’s beak. As I watched it walk the edge it seemed like a tight rope walker and was showing a strange excitement. I felt as though I was observing some kind of pre-hunt ritual. This bird became very much alive as it stared off to the north with its’ wings out and then with a quick launch like a little rocket it was gone on its’ afternoon hunt.